Technology is racing and we get to move with time by getting our hands on the latest gadgets and devices that are serving the masses around the globe. Of course we get to move in the society where we meet and greet thousands of people on daily basis who ask, “What phone you have”. “What is the new gadget that you recently tried out” and if we have no answer to them we naturally feel disgusted by not having the trendiest stuff we deserve. Well save up some money, ask your mom/dad to borrow or buy you the latest Samsung S8 and S8+ which is talk of the town. Are you buying it yet or not? Let us get the quick gaze at its salient features. Well to be honestly, I personally love the Samsung camera, they actually are crisp and a lot clearer than usual. The rear camera gives the sharpness like that of a DSLR so even you don’t own a big DSLR hanging around your neck you can still give a big coverage to a birthday party or some forthcoming wedding season of a colleague or a friend. Also the outlook is so magical, you will fall in love with the new S8 and S8+ trust me. Down here I am presenting before you something for the designers and developers who want to display their own elements into the mockup of S8 or S8 plus. 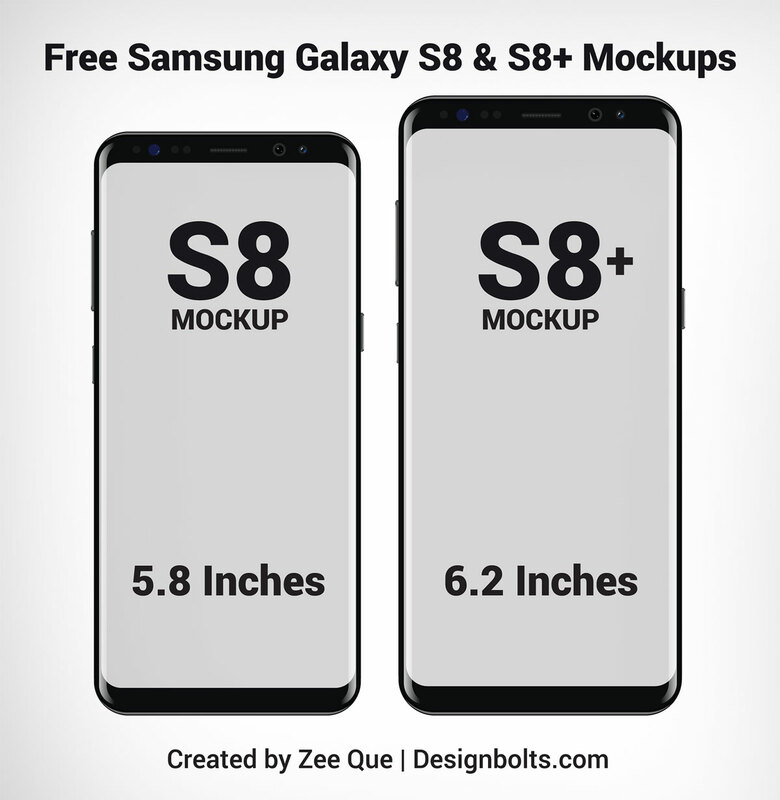 Feel free to use this Samsung Galaxy S8 and S8+ mockup. Also check out the mockups I have been making previously to cater your design needs. Design is basically about details and all minute things that make it stand out, look pretty and makes it differently good. However it is also upon the self-perception of a design how he perceives an idea and then formulates it to make a masterpiece in implementation. Subscribe us for more amazing collection of art and design, we are ready to deal with all of you, if you find any queries regarding the design feed, feel free to contact us, our team will get back to you in moments.